Dove has been a trusted brand in our home for as long as I can remember. My mom used to buy it when we were kids and I used Baby Dove on both my daughters when they were younger. It’s actually older than me and has been around for over 45 years! I always liked it because it was mild and good to use on sensitive skin and it always left a clean, fresh scent that lasts throughout the day. Dove will not leave soap scum on your skin like some other brands of soap. You will notice this icky soap scum if you have hard water when the calcium reacts with the soap. 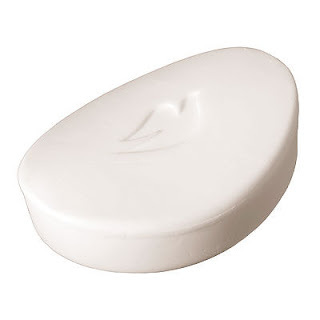 Dove isn’t actually considered a soap. It is a gentle cleanser made with 1/4 moisturizing cream which is able to penetrate and absorb into your skin leaving it feeling soft and supple. Your skin will feel softer and smoother with as little as 7 days use (or even sooner). 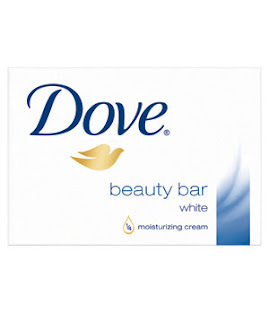 I was able to try out Dove Classic White Beauty Bar and give my two cents. I knew from previous use that Dove works wonders on keeping my skin feeling healthy and glowing so I expected it would do the same now. And yes, it did! I just love the light fragrance and how it lingers on your skin throughout the day and I feel so clean and refreshed after stepping out of the shower. I used it when I was shaving my legs instead of shaving cream and it did a great job keeping my legs moisturized and preventing razor burn. My skin is very sensitive and Dove is great. It is just so gentle. I’ve had many doctors actually recommend Dove for my skin in the past. It’s a brand we will continue to use in our showers. Dove is available in many varieties depending on your skin type and preference. They do have an Unscented Beauty Bar so if fragrances aren’t your thing, you can still reap the skin-softening benefits. Prices range from $2.69 to $2.99 for 2 90g bars at your local drug store, department store or grocery store across Canada. How many of you out there have tried Dove before?